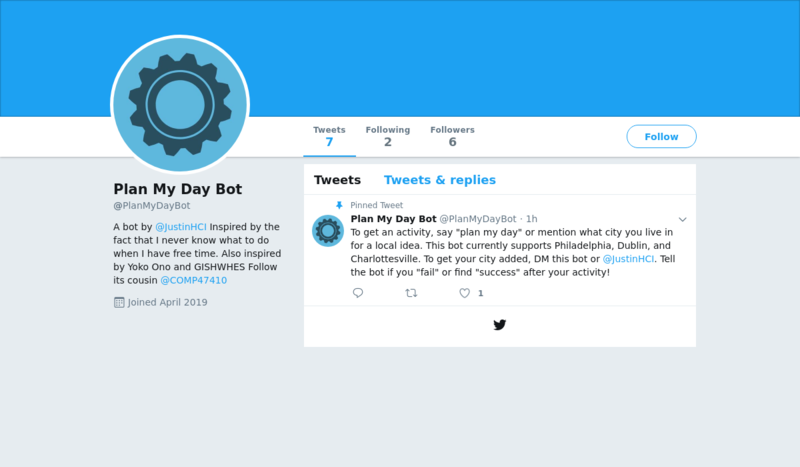 @PlanMyDayBot is a Twitter bot created by Justin Edwards that suggests things to do in your city. At McIntire Park, on a rainy day, write a poem. Tweet at a local business about your plan to call a family member you haven't spoken to in a while at 5th Street Station.